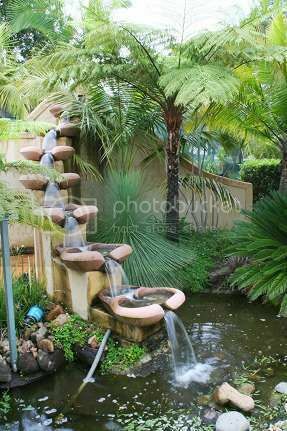 Here is a list of a few tips for the garden. Has anyone else any bright ideas? Paint the handles of your garden tools with the brightest paint you can find. You'll save yourself the frustration of trying to find out where you last put them. Make yourself a mini seed propagator by cutting the bottom off a 2 litre, clear plastic bottle. Put your seeds into an 8-10 cm pot, and then put the bottle over the top. This will create a humid atmosphere, ideal for seedlings. Before you start working in the garden, push your nails into a bar of soap. Enough soap remains under the nails to prevent soil getting in saving you the time of hard scrubbing to get them clean. hi inishindie - that last tip sounds like a good one, I'll give that a try tomorrow! This is also handy if you are gardening or landscaping around where there are other workmen working. It helps avoid any TOOL confusion, as I have had the odd spade and shovel, walk away on me never to be seen again. I suggest painting the handles barbie pink. Ya I agree with painting the handles,dont know if the fork is stuck in the ditch or elsewhere cant see it. If a vegetable patch sounds like hard work, try growing attractive vegetables amongst shrubs, flowerbeds, roses and so on. Some vegetables don't store well, so if only a few vegetables are grown it saves the effort of offloading wheelbarrow loads of spinach on your friends! There are many undemanding plants that will look good in the border. 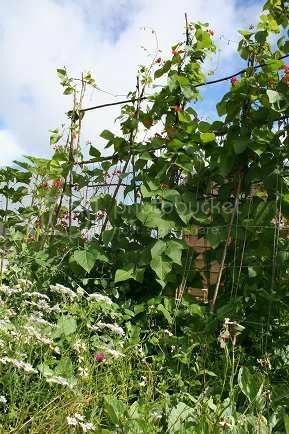 Runner beans can be grown as annual climbers at the back of the border. Some have purple pods, which are particularly attractive. For eye-catching leaves, the chard or Leaf beet is effective, Swiss chard has white veins in its leaves and Rhubarb chard has red veins. These are easy to grow and don't go to seed until late in the season. Other red leaves to grow would be Beetroot and Lollo Rossa lettuce. There are also a lot of Herbs that can be used for a colourful display. Bronze fennel, purple sage and yellow Margoram for example. For fruits try the cherry type tomatoes. The good thing about growing vegetables and Herbs this way is you don't feel too guilty if they don't get eaten! If you haven't grown any vegetables before, start with a few seeds of salad plants such as lettuce. They will grow happily in a pot and you can pick the fresh leaves, as you need them, leaving the plant to grow on. Keep them well watered. If you want to involve children, mustard and cress seeds can be sprinkled onto tissue or cotton wool placed in a saucer, watered and left on the windowsill. Don't throw the shells away after you have had a boiled egg, fill them up with soil and sow the mustard and cress seeds into them, paint a face on the egg and within a few days you will see the hair begin to grow! Put some wood shavings in an old pair of tights. 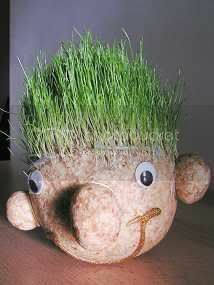 Sprinkle grass seed in it and tie the ends up. Put on a smiley face,water, make the ears by fastening rubber bands and wait a few days! I've been out and about this week and some folk have passed on their wisdom. Top up the water in your pond if you see the water getting low. If you have a problem with pondweed it will be an idea to fish some of it out with a net to let light into the water. Leave the weed at the edge of the water overnight to allow the insects and pond life to skuttle back into the water. If you do feel the need to put canes next to your tall plants then remember to put some form of protection on the top to protect your eyes from injury. An old pot will do. You don't want any nasty surprises when you bend over to tend to the weeds! Sprinkle a biological activator onto the compost heap if you think it isn't rotting dwn quickly enough. Always use a circuit breaker if you are using electric power tools outside. The plug in adaptors are now very cheap to buy so there is no excuse. Ouch!! Nearly had that happen to me a few times. Good tip. Make a hole in a raw potato with a knitting needle. Insert a rose cutting in it and plant in the garden. The potato will keep the plant moist while it forms a root. Caution: You could end up with a large potato plant too! Potato cleaner: Potatoes will take food stains off your fingers. 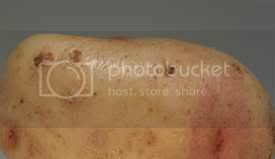 Just slice and rub raw potato on the stains and rinse with water. 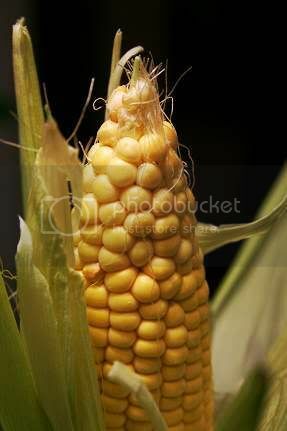 When boiling corn on the cob, some people add a pinch of sugar to help bring out the corn's natural sweetness. Do not feel that you have to do this but definitely don't put salt in the water. This will dull the sweetness. If you accidentally over-salt any dish while it's still cooking, drop in a peeled potato and it will absorb the excess salt for an instant "fix me up." "Before you start working in the garden, push your nails into a bar of soap. Enough soap remains under the nails to prevent soil getting in saving you the time of hard scrubbing to get them clean. " Posted: Fri Apr 16, 2010 10:25 pm Post subject: No more aches and pains. after years of endless hours of pulling,digging and dragging,I now fiil my flask before i go to the garden.I bring the kitchen timer and depending on the task I am doing,I set it for 30 minutes or so.When timer goes off I stop sit back with a cuppa and admire the work I achived within that amount of time,and so the pattern goes,with no more aches and pains at the end of the day..
pick the cob, snip off the tassels and strip off all but a couple of layers of leaves. Pop in the microwave for 4 minutes - the leaves keep in the steam - peel back, butter and eat. Tip when watering Hanging Baskets,Have a Barrel full of water nearby,place your Basket in the Barrel completely submerging Basket and Flowers until all the Air Bubbles have stopped (this can take up to 2mins)the end result is a 100% watered Plant.all Air Holes have been filled with water getting to the Roots,you can also your favourite "Food" to the water thus doing 2 Jobs at once.